Nairobi Governonr Evans Kidero's father Mzee Johnson Agango has passed away. Mzee Agango died at the age of 87 and was eulogized by president Uhuru Kenyatta saying he was a courageous, kind and generous elder who respected the community. There are no details yet about the funeral arrangements but the president assured Kidero of support. Here is the president's post. 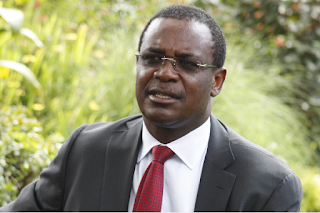 Governor Dr. Evans Kidero, it is with grief and a deep sense of loss that I send you this message of condolence and encouragement following the death of your dad, Mzee Johnson Kidero Agango. A humble, kind, generous and courageous elder, Mzee Agango was well respected in the community. He was a person of enormous influence and outstanding ability who had a singular sense of duty to his family and the nation at large. Indeed, the country will always be indebted to Mzee Agango for his patriotism and the role he played in support of the independence struggle. We will particularly remember Agango for the various roles he played both in Church and in the community. His wise counsel will be missed by many. Mzee Agango’s death leaves a gap that will not be filled, certainly not by these few words of consolation. But as we mourn his passing, let us also celebrate his achievements, and be lifted by the exemplary life he led. God gave him a full life spanning over 87 years. We are proud of the contribution he made over these years and thank God for the time we shared with him. In this hour of sorrow and grief, Margaret and I convey our deepest sympathies and heartfelt condolences to you, your close family, relatives and friends. Our thoughts and prayers are with you. We pray that the Almighty God will give you the strength and courage to bear the loss. May the Almighty God rest Mzee Johnson Kidero Agango’s soul in eternal peace.